MSS Limited are distributors for Martin Engineering Belt Cleaning, Scorpio Products, Transfer Point Technology & Air Cannon Systems. 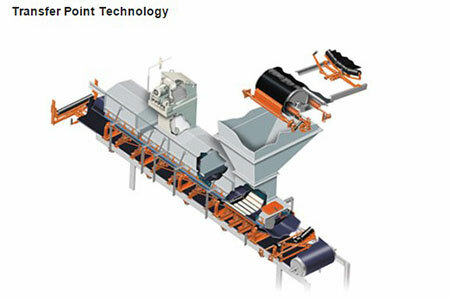 New construction or retrofit, from conveyor belt cleaners to engineered belt-to-belt transfers, MartinPLUS® Installation Services handles the installation of material handling systems and components. Our experienced installation technicians make certain project completion is on-time, on-spec and on budget. Our crews have the tools, the training and the knowledge to shorten the learning curve and meet your requirements. Project supervision is also available. Cleaning systems including belt-washing stations and activated dribble chutes are properly installed, reducing carryback problems. Precise cleaner installation boosts performance and simplifies maintenance. Engineered components will improve performance while reducing spillage and airborne dust. Capabilities include tear-out of existing systems and upgrades with new chutes, liners, support cradles, skirtboard seals and dust management systems. Sophisticated multiple-cannon systems keep material moving through process and storage vessels. Expert installation includes programmable controls to combine optimum benefits with efficient air use.